I am proud to announce the release of our new Mighty Armies: Warmonger line. 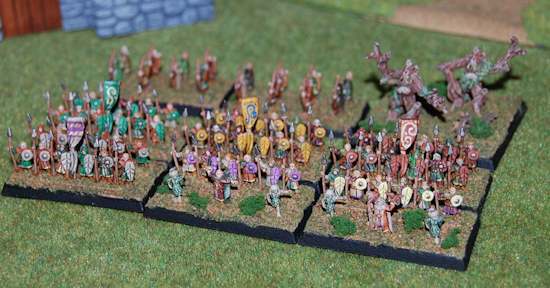 MA: Warmonger is a line of 10mm miniature armies for playing Mighty Armies. 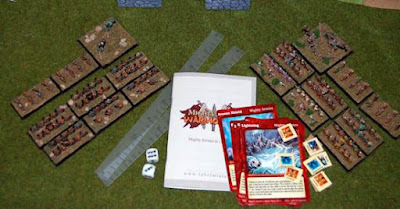 The MA: Warmonger starter box contains a Wild Elf Army, an Orc Army, a small rules booklet (also a full-size download of the rules), two rulers, a pair of dice, and a stat card (a download) for the Orc and Wild Elf armies. This is the first line we have where the miniatures are on strips. 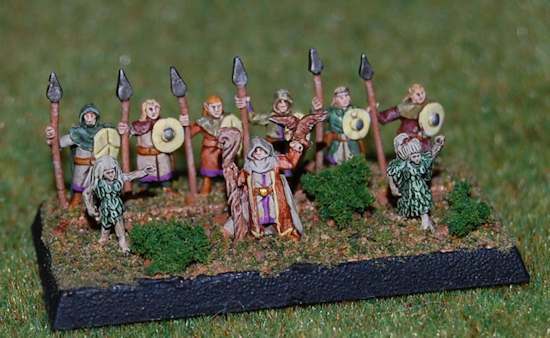 You can also buy each army separately. Rebel Minis.